Lamb & Lion Hotel, Sure Hotel Collection by Best Western est idéalement situé dans le centre de York. Venez découvrir et profiter de notre hôtel à côté des principaux sites touristiques. Réservation au meilleur prix et offres exclusives toute l'année. L’hôtel Lamb & Lion Hotel, Sure Hotel Collection by Best Western propose des chambres avec salle de bains attenante, Wi-Fi gratuit, télévision à écran plat et un restaurant primé (rosette AA). Les douze chambres ont été décorées individuellement dans un style ancien. Elles disposent d'une théière/cafetière et d’articles de toilette gratuits. Certaines chambres bénéficient également d'une vue d’exception. L'auberge propose des bières traditionnelles de brasseries locales et sert une cuisine de type pub britannique moderne. Un parking à tarif réduit est également disponible à proximité. This old pub has real charm and character. Next to the wall itself the location is cracking. Car parking is public however the pub has a discount deal. The room was lovely with clean linen and towels and good facilities. Reasonably priced well worth a stay. The food is also Devine with a good menu choice. 2 rosette AA awards. "Quaint little hotel in great location"
This small hotel was in a great location for seeing the sites of York. Everything is within walking distance and the Hop on Hop off bus was just at it's corner so no difficulty seeing all the history that is York. Lots of fun restaurants close by. The restaurant was good. Breakfast offered at least eight different options which were all quite nice. And Debbie the hostess at the hotel was so helpful and an interesting conversationalist. Our room was somewhat smaller than we had reserved but we did not notice until check out so our fault. Bathroom was rather tight. Overall it was a charming hotel sought out by many locals. 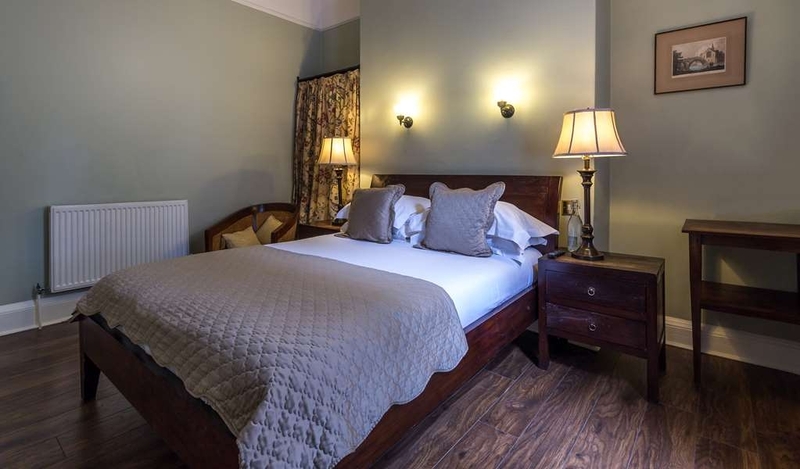 Had a wonderful stay at Lamb & Lion Inn, staff lovely, room cosy and comfy and location was perfect for getting around, whether walking, catching bus or train, would definitely recommend to friends and family. Great little pub,great location.Only had breakfast,and this was excellent with plenty of choice.Staff working the breakfast shift where also very polite and very helpful.Bedroom was value for money,but in need of a bit of tlc,but his wouldn't stop me from staying again. 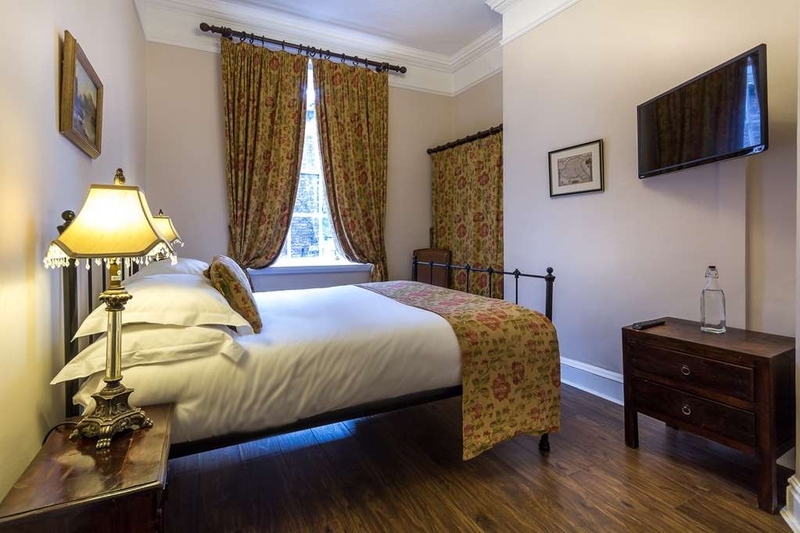 "Our 2nd stay here -a real pleasure"
Perfectly located for York Minster, restaurants, museums and shops. Lovely clean comfortable room - had character. All staff helpful and pleasant. Superb lamb shank meal in restaurant - meat fell off the bone. Excellent breakfast - good variety. Enjoyed drinks in cosy friendly bar. "Gorgeous building. Perfect location. Nice stay"
The location is perfect. Gorgeous old building with historic atmosphere. Its in the old town, adjecent to the wall. The room is so pretty. Its just what we were looking for. And Debbie makes our stay more delightful. Wish can stay there longer. Just stayed at the Lamb and Lion and their deluxe room was just that. Lovely. Staff were so helpful but not intrusive. Food was tasty and speedily served. Now my favourite central place to stay in York! Being a hotel apparently makes beer more expensive! But it is kept well and interesting in a safe way! So pop in here for real ales, wine, food and find a quiet room away from the bar. In summer go through to the best beer garden in York??!! The city wall on one side, the minster in sight to the other side. The food was excellent and more than plentiful. The chicken with black cheddar was one of the most unexpected treats we have had in a restaurant for some time and my chicken pie both looked and tasted really good. Neither of us could finish what was on the plate and that is very rare, for me at least. Also, they had a separate gluten free menu for my wife; I wish more places went beyond the bland instruction to ask about dietary allergies before ordering. The service was friendly and efficient too. A treat to be repeated. Excellent venue for an overnight stay. The staff were very welcoming, friendly and efficient. In an excellent position for the Minster and city centre, and the beer garden is a real suntrap! The full english breakfast was very good quality. i'll definitely be recommending to friends and colleagues. "Great staff and location, but overpriced and noisy." Where to start with the Lamb and Lion! First the good points. The staff were great - friendly and helpful. We had breakfast as part of our 2 day stay and ate in the hotel on our first night. The dining room is small but cosy, and the food was good. The hotel is in a great location, only a couple of minutes walk from York Minster and the old town. BUT.. My first comment is that it is overpriced. We had a room on the third floor (no lift and steep stairs) which was tiny, with a small bathroom and tiny shower cubicle. No wardrobe, as the room is too small! The only window had large gaps around the frame, which meant that there was no sound insulation (more of that later) and drafts. This is Room 8. For this we paid £300 for 2 nights, and then a further £40 for breakfasts for two people for two mornings. The online photos don't show just how small the rooms are. Noise! The state of the window fame meant that we might as well have left the windows open, and the noise from the street, both passing traffic and pedestrian, was substantial way into the early hours of the morning, particularly from hen nights and stag night groups passing by. When we mentioned this to staff after our first sleepless night, they asked if we had found the ear plugs in the room! When we said no, they provided us with some! (which were useless - we went out and bought our own). The point made by hotel staff is that they cannot install secondary glazing as the building is Grade I listed. However, if the gaps around the frame were properly sealed, there would be a significant improvement, as the actual window is double glazed. We are not the first people to make these sort of comments. My advice would be that if you do want to stay at this hotel, ask for a room at the back, and avoid Room 8!! We had a really nice stay at the Lamb & Lion inn. The staff and especially the manager made the time there enjoyable. Always serving and helping us with funny jokes and smile. Location was superb. We very much like to come back. We stayed at The Lamb and Lion Inn for one night recently and couldn't have been happier. The Inn is full of history and charm which makes for a unique stay. Our room was extremely comfortable, with a lovely view overlooking the beer garden and Roman wall. A short walk downstairs and you're in the pub which is curious and cozy. The ladies that were behind the bar were both very friendly and accommodating. We decided to dine there that evening and the food was delicious. 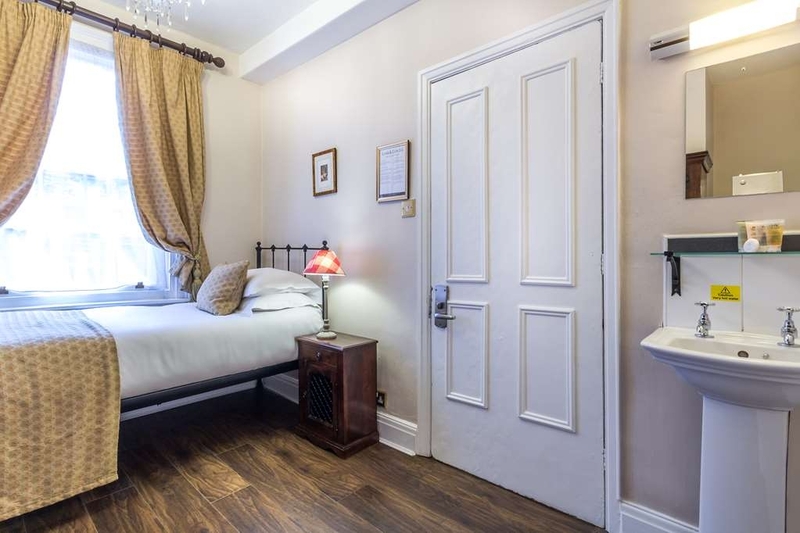 Location is terrific as you're just inside the old city right next to York Minster Abbey and walking distance to everything else. If we're fortunate enough to stay in York again, we'll stay at the Lamb and Lion as it's just such a lovely place. 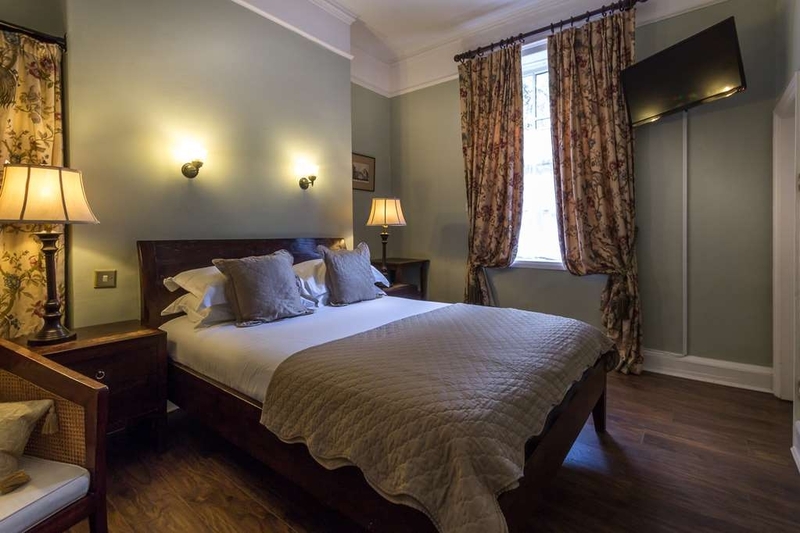 "Great accommodation in centre of York"
The Lamb and Lion is a great place to stay in York. Lovely room, particularly good shower, friendly staff and very close to The Minster. Lovely breakfast and very comfortable bed. Only issue might be stairs if you had limited mobility - check first. My husband and I recently enjoyed a city break in York and while there had a meal at the Lamb and Lion Inn We had the most fantastic pie's. The Steak and Ale pie was a huge, completely encased puff pastry affair that was tasty, with good accompanyments and good value. It was national pie week and a few others advertised their award winning pie's, but were left wanting after this. Thoroughly recommend. Great trip to York and staying here really made it special. Lovely staff and beautiful room. Huge comfy bed, clean and the best shower! Location was perfect. Will definitely be back. Didn't eat this time but the food looked delicious. "Great food & service. Poor room"
Restaurant The food was absolutely fabulous. We had a Sunday roast & a full English breccy & both were divine. Accommodation I wouldn't stay again as the room was like a rabbit hutch. The shower was so tiny you couldn't bend down to shave your legs & the ceiling was so low that you had to squat to get under the shower head. There was a gap around the window frame where cold air blew in along with the sounds of the streets below & we were kept awake with the noise. There wasn't room for a dressing table as It was so tiny. Bearing in mind I'd told them this was a surprise weekend away for our 25th Silver Anniversary & had asked for a nice room I'd hate to think what the other rooms are like. We were in room 8 up 6 flights of steps. I have arthritis in my knees & feet & I found it very painful. All in all we tried not to let the room spoil our stay. However, I'd not stay there again. I would definitely eat there though as the food is great. "Great pub, but so miserable "
Been here a few times. The beer is good, the place is an attractive multi-roomed building. However, having had the most miserable service at the bar from a non-smiling, monosyllabic, rude woman we won't be back in a hurry. York is full of great pubs, which serve good beer, and offer a warm welcome; I'd rather give them my hard earned money. Stayed here for one night after a planned day trip to York got extended to an overnight trip this hotel was the closet on the map, given it's age and location it's hard to criticise but the room was old fashioned with low door frames (I'm 6ft5) and steep stairs (no lift) bed was comfy although the legs did stick out as my shins found out a few times. Bathroom felt tiny and cramped but everything you needed in there, no bath mind. Staff really friendly and pleasant and breakfast and bar area were fantastic. Not a hotel I'd normally stay at with more planning but was good for a spontaneous stay, very good central location. Stayed overnight in L & L. What a lovely place, full of nooks & crannies . Situated right in the middle of city centre. Evening meal was excellent, served in the lovely little restaurant. There is a large beer garden hidden away at the back. The room was large& very comfortable & clean. The breakfast was also excellent. The staff couldn't do enough for us. Will defo go back. This was my first stay in the L&L - but it certainly won't be my last. I hold a BestWestern loyalty card so try to use them when I can. The L&L has a unique feel about it - quite unlike a more corporate BW hotel. The atmosphere is very friendly and the Inn is memorable in an entirely positive way. The location is excellent; food good and a nice room. I'll certainly use the L&L on future stays in York. 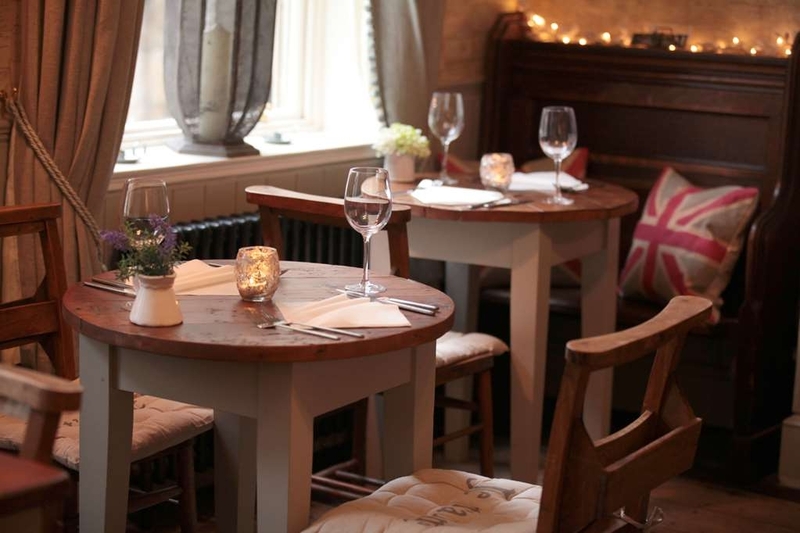 Cosy and candle-lit, with a beer garden serving classic beers in an old-fashioned, traditional building. Lots of really taste proper beers, ales and ciders. Plenty of choice and reasonably priced drinks. "Lovely decor. Food great, just quite small portions"
A good choice of roasts and other options at this friendly and old fashioned pub. The veg is served separately and not plonked on the plate as in some other places. They were not overcooked at all which I really appreciated. The creme brulé tasted homemade and there is a selection of Yorkshire real ales. Nice cozy little Inn. Room was clean and comfortable. Its an old building circa 1700s and reflects the quaintness of the Inn. 1 minute from the Minister that's how central you are so not far to anywhere within the wall. Great little getaway in a bleak January. Best possible location just inside city walls. Staff lovely and helpful. Great food and ambiance. Stairs a bit hard to negotiate and rooms noisy due to creaky floors overhead. But highly recommended regardless. Could be noisy in summer when beer garden is open. Booked a special Sunday lunch for my son's 21st birthday. We were told we could have a nice roomy alcove table, which would help make the day special. When we arrived, they had given that table away to another party and told us we would have a small table, that could barely seat 3 or 4, let alone the 5 of us! We complained and said it was unacceptable, but the attitude was - too bad! I can't comment on the food, as we left and went elsewhere, but the attitude and service to do that on a special day, was appalling. 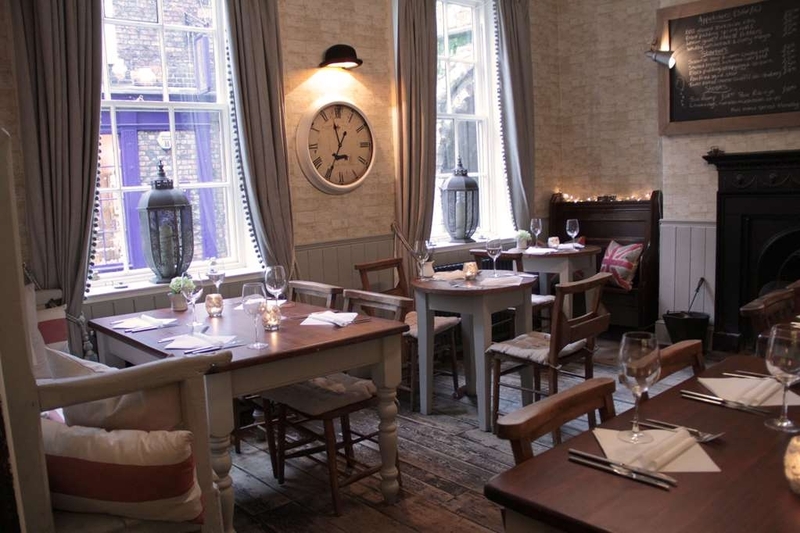 York is full of good bars and restaurants, so no need to try this one! Just inside the ancient walls of York, fabulously positioned to hear the bells of the Minster, and to walk the winding streets of the city. The floors are creaky, the furnishings quaint, but the staff are friendly and helpful, and you couldn't wish for a more authentic inn experience. We visited in winter, when the famous beer garden just outside the bedroom window was chilly and deserted, but it is likely that in summer you would find your bedroom invaded by the noise of outside revellers. Convenient parking 8 minutes' walk away at Marygate. I really torn with this review.....the lamb and lion is situated in an ideal location as it's central to most things York had to offer. The room was comfortable and clean (although the chandelier could do with a good dust), the staff are friendly and helpful too. The only things which let this place down are-pillows and noise!! The pillows are useless but may suit some people. I'd of just liked a choice, I did ask but they didn't have any other different ones (I guess this could be easily rectified). The noise, it's not necessarily that the lamb and lion is noisy itself, it's the noise from outside. The building is very old and in keeping it has very old sash windows that are single pane and don't keep any noise out at all! This is probably nothing new to the staff and probably cant be helped as it's a listed building? (I assume) maybe secondary glazing would help? I've stayed in the centre of Chester before in an old coaching house and they said that secondary glazing is not possible as it's listed and they cant have it. I'd like to give the lamb and lion another chance but have a room at the back of the building and bring my own pillow lol. Excellent Hotel with great food. Staff really helpful and made our stay really comfortable. Always at hand to assist and advise. Great location to visit all areas of the City of York. Breakfast awesome and very fresh with great choices, local produce. "Go to Pub for Sunday Roast"
Booked 2 nights stay iin january chose for the. Location. Have been to york many times..Staff lovely breakfasts great. The however was disappointing..was in the attic which involved climbing a very narrow steep stair case with no light..there was NO mention of this when we booked we are both in our 60s and managed bit feel a lot of older people or indeed heavier built people would have struggled especially comming down as steps are very narrow..there were no views either as the two small Windows were in the sloping ceiling..banged our head a lot when using shower over bath as again sloping ceiling..2 off the 3 radiators didn't work but there were 2 plug in heaters but bathroom was icy as had to leave sky light open to let out steam after shower as fan did not work either. 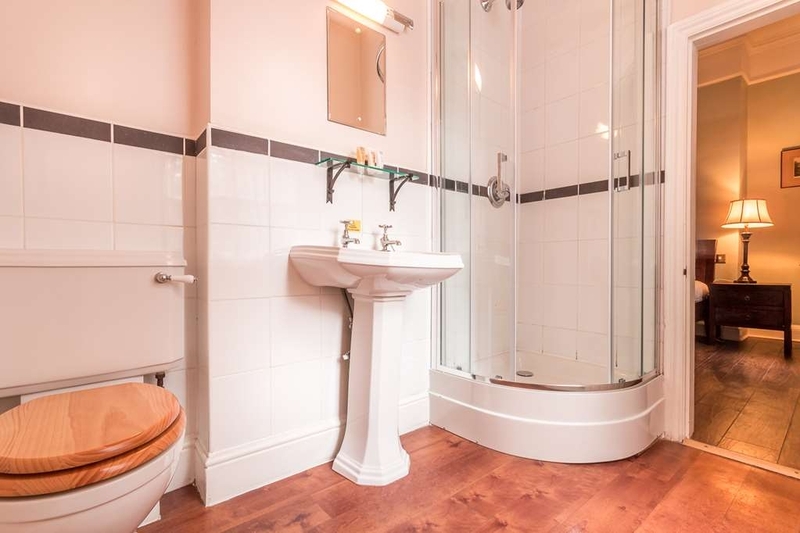 The bathroom door was a bit grotty and the barhroom was tired especially the shower door..altho the room wasnt filthy i had to clean the dust from large free standing mirror in order to see in it.Bed was clean fresh towels next day..great location but would not recommend it. A really nice pub, Lee the barman was very polite well dressed as were other members of staff, the food was excellent, my wife had lamb shank I had Battered haddock, both were excellent. Thank you, just a small comment, the lighting in the bar needs to be a bit brighter. "Great place and relaxed atmosphere"
The beer is pricey but the surroundings and staff are polite. Pint of cider and Estrella were really good on a winters night and always good to drop into for a chat and good atmosphere. We wished to weather was better of we would have sat outside as normal. Firstly the floor staff are great can't compliment them enough. The room is ok, bed is nice, it's cleanish however the sink and shower were blocked after a single use (see pictures) with mould on the shower roof and shower head ... I went to have a word upon checkout and the lady who seemed in charge didn't apologise and pretty disinterested When we arrived the staff insisted on taking payment when checking in, I can see why now as you would of outright refused to pay the £119 bill. Breakfast was good with decent selection but honestly find somewhere else in York as this will not meet any expectations. We popped in here for a late lunch and drinks with family and our 6 year old daughter. We had satay chicken, a fish finger sandwich, a beef and onion sandwich, a chicken and bacon sandwich and crispy chicken. It was an enjoyable meal, however, I would say that the food and drinks were expensive. "Special weekend in York spoiled." We were very disappointed with this hotel. After paying £269 for one night room only we were expecting a lovely boutique hotel with quaint traditional features, however we we had grubby and old. The bathroom door was filthy, the surfaces of the bedside tables were worn and grubby. There was no mirror on the ‘dressing table' to do make up. The website describes the deluxe rooms as having city views, we had skylights in the roof, stuck up very steep stairs in the attic. There is no way that attic room is 4 star. At the time of booking there was no mention of steep stairs up to an attic room. There was no light switch at the bottom of the stairs. I was told we were getting their best room. I have since contacted the hotel who have responded to only some of the issues I raised and offered a discount on further booking. This was a special Christmas shopping weekend meeting up with my brother and sister in law really spoilt by how grubby and disappointing this hotel turned out to be for such a premium rate. Totally not worth the money. Very disappointing. Would not recommend and would not stay there again. Staff here very good, sadly the same cannot be said of the rooms. We stayed in room number 3, which was very shabby. Light bulbs missing, the bathroom blind was broken, and the shower cubicle door did Not close properly. The hotel does not represent good value for money, at over £200. for one night. ""FELT SORRY FOR THE STAFF""
Stayed at the Lamb and Lion for our anniversary and a bit of christmas shopping. First impression was a bit off putting due to staff member being bullied, by I assume was the managaress who was sarcastic with her staff, a very bullying way of treating her staff, both me and my husband felt very sorry for the young lady who we assume had not long been working there. It's a shame that this lady is allowed to run such a nice little pub, if she has her own issues!!! "GREAT PUB WITH GREAT FOOD"
"Quaint inn in a terrific location "
Popped in today for a roast dinner after no success elsewhere in York. We were offered a table in the bar and ordered the roast dinner. It was honestly delicious, the meat was lovely, Yorkshire's delicious, good vegetable selection. For the money it's fantastic value and I will be returning as a resident of York with my family! Would recommend. The location is awesome...about one block from York Minster and in walking distance to the beautiful downtown area of York. There are dozens of bars, restaurants, and coffee shops within blocks of the hotel. The hotel itself is incredibly quaint and it feels like you are staying in a building that is hundreds of years old. When you arrive, check-in is actually at the bar and the young man there was very helpful and fast. Our rooms were located two floors up. Be advised that the staircase was somewhat narrow and there was no lift so this might be difficult for older guests. The rooms were charming beyond belief but could be a little stressful for American guests used to larger rooms. The rooms and bathrooms were very small. The bathroom was somewhat of a challenge as there was limited space to put items and no space at all inside the shower to set soap or shampoo. The bed was super comfortable and the positives far outweighed any negatives. We did not try the restaurant or bar below but it smelled great and was full of people. I would definitely recommend this hotel for a charming stay in a wonderful city. "Great place to stay and eat"
Warm and friendly welcome. Very helpful when we first arrived and sorted us out before we headed to a wedding. Room comfortable and looked good. Delicious breakfast in the morning. Fine selection of ales that were kept well. All in all a lovely place. Location can not be beaten, minutes walk to various restaurants, pubs, shopping and Minster with its long history. Easy 10 min. walk from York railway station to hotel and very easy to find. Room was good size with all amenities that are required, clean and heating which was most welcome with a cold snap while we were there. Breakfast served in the bar area ,reasonable selection, hot and tasty. Access to rooms is by a narrow winding staircase, would be difficult if you suffer from any disabilities or travelling with heavy luggage. Overall great little old hotel, quirky, lots of history and with out all the modern day bells and whistles. Like stepping back in time. Visited the Lamb and Lion for an evening meal with the family. Good range of real ales on offer and a variety of gins. We were sat in the rear dining room with an atmospheric log fire. Food was OK at best for what I thought was a relatively expensive meal. Fish pie was a little heavy with the cheese which made it a little stodgy. Fish and Chips with mushy peas was lacking in chips but the fish was nicely done. All in all service was good but unlikely to be back just for a meal. Originally, my friend and I were booked to stay at the Lamb and the Lion. Because we became concerned over the availability of a lift, we booked elsewhere. However , it was most important to us to visit. We were pleasantly surprised at both the friendly staff, brightness of the area we entered and selection of food. The Inn was very clean and loaded with atmosphere. While I'm unable to assess a stay, I most certainly would reconsider at a future point in time. The location is fabulous, right next to the city walls. Stayed here for a weekend in September as a group of 8.. Had a fabulous time and the food and staff (especially the manager Debbie) were just brilliant. The Sunday roast looked amazing so we will will definitely returned try it. "Luxury hotel price for budget quality room"
I was in York literally for one night to sleep before a long run on the Sunday. I arrived a little after 7pm and got the only remaining room. Room 10. If you look at the photos on tripadvisor, you don't see this room. 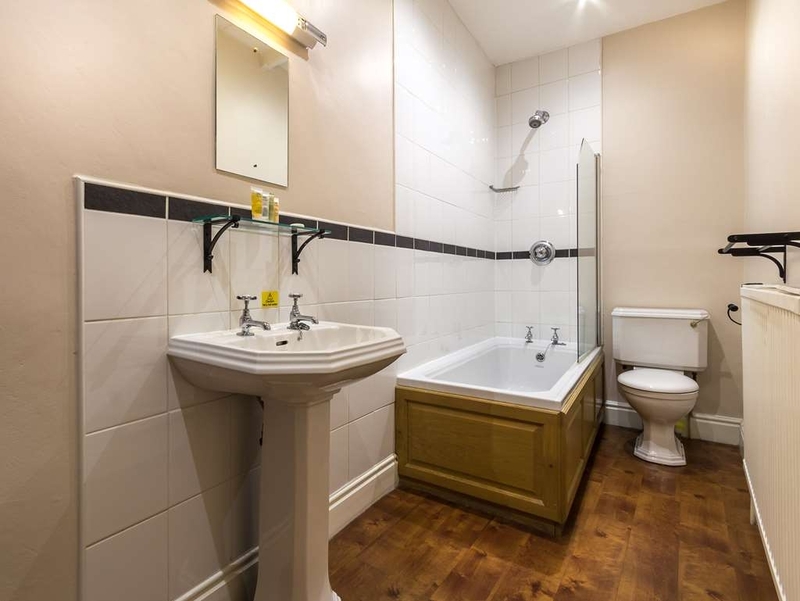 It is tiny, a broom cupboard, with a sink in one corner, a single bed against the window, a small table, a TV and a wardrobe, there is a side room with toilet and shower. To say the least the room is a strict minimum. One other feature of this room is that it is above the kitchens and the kitchens serve food until 9pm normally but this can be later (in my case until 10.15pm).. the issue here is that they need to use an air conditioning/ventilation unit and this is next to the window and it makes a considerable noise, a repetitive buzzing sound so sitting in the room is not a nice experience during meal times. The hotel reception is a pub which is great and the staff are friendly and helpful. The breakfast was excellent and a good selection available. All in all you may think this hotel sounds not to bad and generally I would agree except that this broom cupboard of a room cost me £188 and I was expecting a bit more for the money. I realise that the week I was there, there was an important horse racing event which made hotel rooms a premium but this was outrageously expensive for a room of that calibre. I understand the concept of supply and demand, but when I reserved, what I was seeing on the website was not this kind of room and had I paid half of what I paid, I would have still been disappointed with the room. "Nice pub close to the Minster"
Visited here in Sept 2018 and had several drinks in here, worth a visit its a nice traditional pub close to the Minster, Nice pub in a busy part of the city, its clean and has a good selection of ales, it does food and accommodation too. I will go back! I did NOT stay here I just had several drinks here at different times. 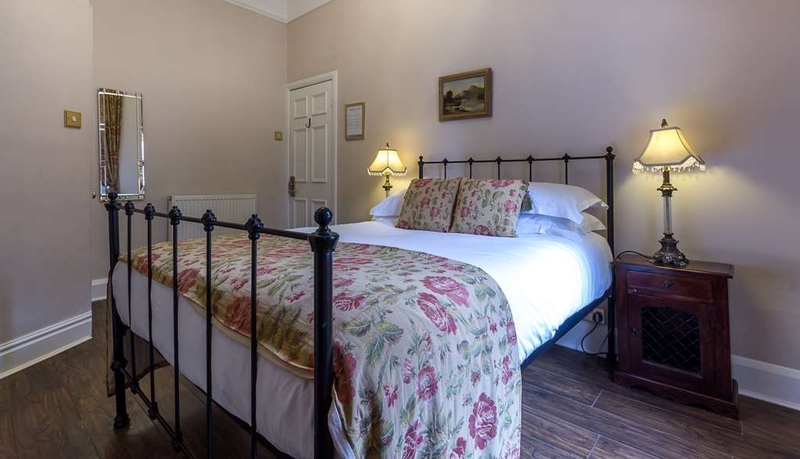 "Great Location, friendly staff, great food"
We stayed here with 2 other couples to go to the York races. This was an ideal location for us to walk to from the train station, they let us use one of the rooms as we were early to get ready for the races this was great, plus they were happy to hold on to our bags until out rooms were ready. 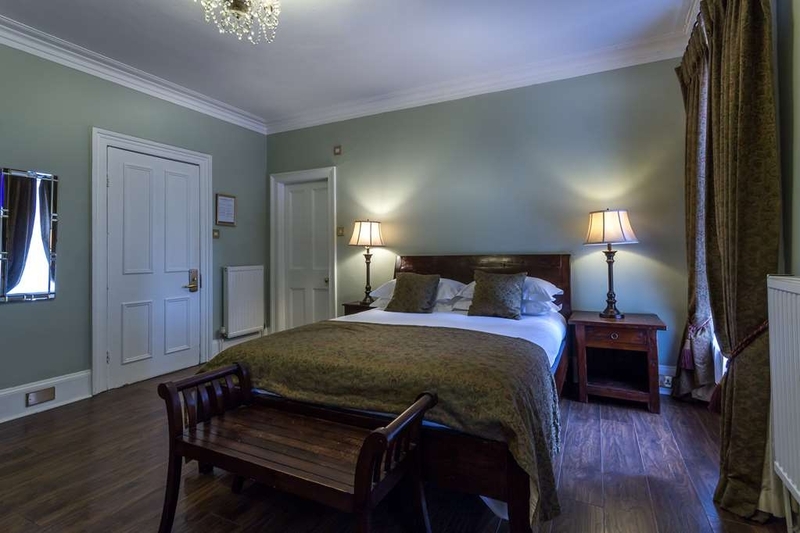 The staff were very friendly and helpful, nothing seemed too much trouble, all the rooms we had were lovely and clean, beds were comfy and there was plenty of tea and coffee. The rooms were a little small and you can hear some noise outside due to being city centre and they have single glazed however it didn't bother us at all. From the accommodation you can walk into the town in minutes and the Minster is just around the corner. Breakfast and evening meals were lovely. I would definitely recommend this Inn. "Outstandingly friendly helpful staff who couldn't do enough to help but........"
We asked for a private room for about 20 people. No problem. When we arrived we could not order drinks at the bar but had to wait for a waiter and waitress to come to our room. This took ages. They got the drinks order wrong, twice. About 12 of us ordered food it took an hour to arrive and one meal never arrived. They simply couldn't cope with a group. Good for one or two people, hopeless if you're a larger group. A shame as the people were friendly but they just didn't cope. This Inn in a very convenient location, was redolent with atmosphere & character, very helpful and friendly staff, with a good kitchen. The old building with lovely creaking staircases is quite tall with no lift! We were in room number 3 on the first floor, which was fairly spacious , a comfortable double bed, but a very limited wardrobe and bo dressing table . The bathroom was also spacious but was very let down by lack of sensible facilities, ie no shelves in the shower to hold soap or , shampoo, shower gel etc., so separate towel rails on which to hang the superb towels after use, so they were replaced each day which was good for the laundry but not eco-friendly. The lights over the bathroom mirror were non-functioning and also one light over the bed was not working. So this lack of attention to sensible additions to the room facilities marred an otherwise excellent stay at this welcoming little part of York's history. visit York once a year, tried this place for the first time, the staff were nice - very nice, but the room (front of the hotel) was so noisy it ruined my wife's birthday. We could hear all night - 1) the night porter coughing every 30 seconds 2) the next room snoring 3) drunks outside until 4am 4) upstairs floorboards creaking until 2am. There was then an issue paying at the end which was a double whammy. Like I said the staff were nice. That's it. 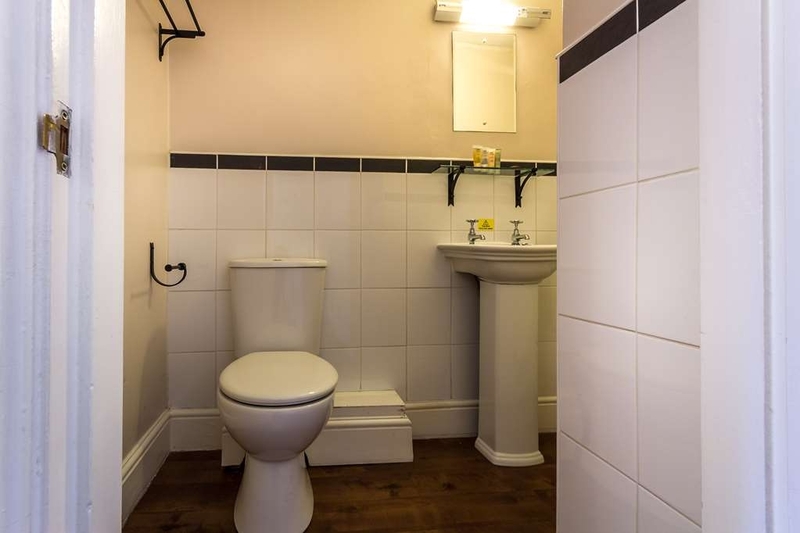 We were looking for a last minute hotel in York and came across this gem. The staff were very polite and helpful and carried our suitcases up to our room. The room was clean and spacious. We slept with the window open and there was quite a lot of noisy in the street (I assume people making their way home after a few drinks) but I don't think it would have been too noisy with the window closed. 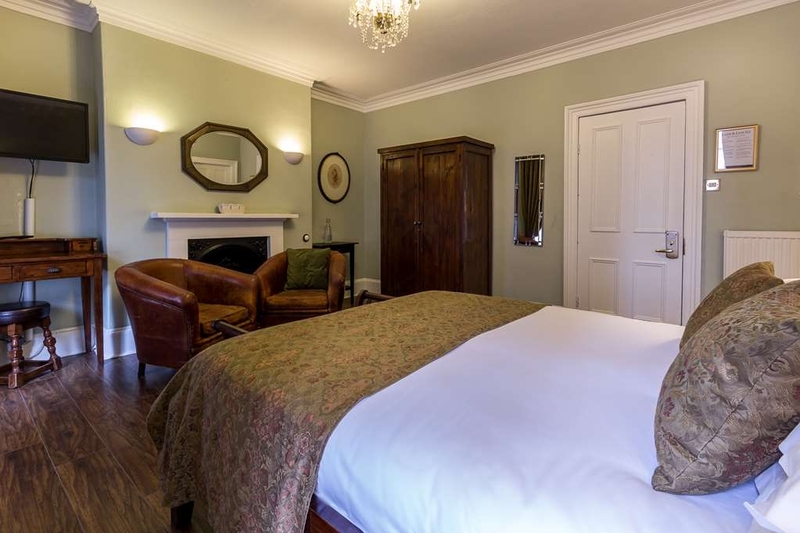 The location is perfect for visiting York, it is just inside the city walls and walking distance to all of the attractions (it is a stone's throw from York Minster). There are also plenty of restaurants and pubs right next to it. Will definitely stay here again next time we visit York. This is nice. It's a good location. Staff were excellent. Had a drink or two there. It's about 4 quid a pint. Didn't try the food which did seem expensive. Room was so noisy, sadly! I don't know if that can be prevented but you hear every sound from the street outside, especially the 5.15am street cleaner. But this should only deter you if you're a light sleeper. It's a cool building so give it a try. "Like something out of The Lord of the Rings"
Staying in this charming little Inn was essentially how I imagine the Prancing Pony from The Lord of the Rings. Nestled right in a crook of the magestic city walls, it is a jolly, bustling pub down stairs with rooms above. I had a small, comfortable room which was perfect for my needs with a wonderfully powerful shower. Breakfast in the morning was generous and delicious. Thank you to the lovely Debbie and her team for a wonderful stay. It was our first visit to York. There were four couples staying for 2 nights and we were made very welcome and had a great time. We will be back ?? First of all the staff are great,especially Debbie.The room ( number 2) was quite small but ok.The problem came when we went to bed.Shouting and screaming from drunk people until 3.30am and followed by the bottle wagon at 4.30am so we didn't get any sleep all night.Maybe if you were in a room at the back it would have been better.Unfortunately it put us off staying again.The food looked really nice however-Just wish we had been warned about the noise level as it spoilt our stay. Booked this overnight stay very last minute - perfect right in the middle of the famous Shambles - very old building lots of character the staff were lovely and location very central. Loved our short stay this is a traditional pub with rooms not a 4 star hotel but we had a lovely room great small but perfectly formed bathroom compact but clean. Enjoyed hearing the Minster bells ringing in the morning. If you're looking for a central location for a couple of nights perfect. Breakfasts lovely full English for my husband and Smoked Salmon with Scrambled Egg for Me - a real treat. Didn't eat here in the evening (lots of places to eat nearby) but the menu looked good. A group of us enjoyed a meal on Saturday night. The staff couldn't have done more to help. They were friendly and efficient. The food was very tasty though portions slightly small. The choice was good, something for everyone. The location is central and the building is quaint and interesting. "Historic b & b experience"
Our second stay, this is a really old pub right next to the wall and a short walk from the minster and all the lanes. Each room is unique this is a listed building so don't expect a lift, double glazing or precise square door frames and corners. But if you want a delicious breakfast, really welcoming staff, really good lunch and evening menus and good beer this is it. Rooms are really clean. If you have problems with stairs let them know when you book and they will help. As soon as we stepped in we instantly felt at home with a lovely vibrant and welcoming atmosphere. Nothing was too much trouble and all of the staff were absolutely fantastic. We will definitely return to this amazing place. Thank you for making us feel so welcome and thank you for taking our bags to room number 8 ? ?excellent service and highly recommended. "Excellent garden by the city walls"
Dropped in for a drink after work - the service was great! Sitting in the beer garden by the city walls was simply idyllic. This place really is a hidden gem. The menu looked great - I'll visit again to eat. Whilst on holiday in july my daughter and I stumbled across this lovely quaint and old fashioned pub. We had the most amazing sunday dinner of roast beef and all the trimmings!!!. As it was so warm we sat outside in the beer garden which was absolutely terrific. The food was delicious the staff attentitive and there was no rush to eat up and go!!. We enjoyed it so much we went back again another night and could not fault it either. They do an extensive alternative fusion menu all locally sourced as well as the traditional food, nothing out of the freezer here!!! Would highly recommend and cant wait to come back..
An enjoyable stay at the Lamb and Lion for 4 nights - quaint and olde worlde but very convenient for York Minster. Excellent staff, especially Debbie, Joel and Lee. The hotel has reasonable facilities, including an attractive parking arrangement at a local public car park. A a bit on the pricey side due to its central location. The bathroom shower cubicles are very small with no soap/shampoo dishes so don't drop the soap! Good food, especially breakfast! We stayed here with friends to celebrate our silver wedding anniversary in York on Saturday 25th. From the minute we arrived we were looked after by the wonderful staff who couldn't do more for you. Our cases were taken from us on arrival and placed in our rooms while we had lunch and drinks in the bar. The food was excellent with a great quality of drinks. We continued our drinks in the fabulous beer garden outside sat in the sunshine. 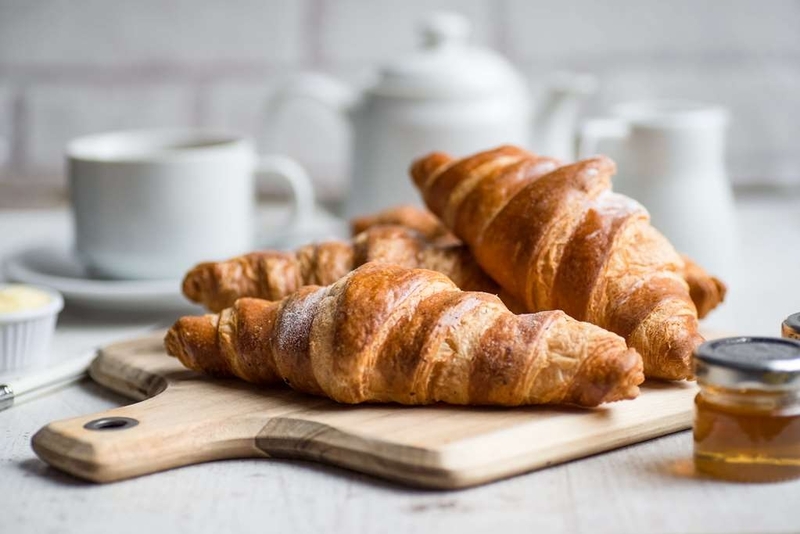 The rooms were very clean and tidy,in fact the whole place was to a very high standard.The following morning we enjoyed a full English breakfast with as much coffee as you could drink,which was very much needed !! All served by Debbie who was a fabulous lady who looked after us during our stay. After we checked out of our rooms our cases were looked after by the staff while we went for an explore. All in all a fantastic little hotel run by some of the friendliest staff in York. We will definitely be booking a return visit for the Christmas market. We stayed here for the races for a second year in a row and absolutely love this place. Exceptionally friendly local staff, great beers, really nice rooms, heaps of charm, dead central location and a high quality cooked breakfast. What more could you want? Picked this accommodation due to central location, which is really the only thing about it we liked! Very pokey place, dull and dreary bar area, and getting to the rooms was like a real rabbit warren! We were put into a top floor room and had 57 steps to the top....bed very small and extremely squeaky, windows didn't open much and the room was stifling hot. Very, very noisy all night, even though we were 3 floors up from the street. On the plus side, it was a few steps away from the Minster so not all bad! Arrived the other day with a couple of friends and our server (Debbie) recommended the burger with the blue cheese and it was absolutely amazing! So tender and succulent!! Well worth the wait such friendly staff and great atmosphere definitely recommend! "Beautifull hotel with amazing staff!" We stayed at the Lamb & Lion inn at the end of July and loved it. We had the top room which was very cozy and had a great view (the view is worth the stairs) Amazing staff which were very helpful with suitcases etc. Especially Adi who's there during the night is brilliant, made our stay even better! "Left alone in a small unlit room "
We walked in on a Saturday evening not sure if we would get a table as we had no reservation . The bar was busy with eaters & drinkers , we spotted a waiter and ask if they had space and he said he'd return in 2 mins as was just serving food. When he returned he pointed us in the direction on the parlour ( table service dining area) and said he'd come through in 5 mins to take our drinks order. When we entered the parlour we were disappointed by the darkness of the room . No lights had been put on only the light from the 2 small windows. It was a small room with about 6 tables . No one else was in here either. Anyway we took a seat and waited and waited, finally a female waitress came in looking surprised and explained that no one would know we were here unless we told them at the bar area! We explained we had be directed here by another staff member, she then apologised and handed us a menu. We looked through the menu and quickly decided we fancied the burgers. Once again we waited and waited until we got fed up and left. We had great hopes for a wonderful meal as we really like the bar atmosphere etc . Very disappointed & hungry! After yesterday's lunch at another establishment in York, which to put it bluntley was abysmal, this was excellent ?? We had walked around the city walls and came across the Lamb & Lion at the end of our walk. We had no intention of getting lunch here, we just called in for a drink, pint of Landlord and half a cider, cold, refreshing and very good. Whilst we sat in the beer garden food was being served to other customers and seeing what was being served changed our minds. I ordered a Flat Iron Steak, Blue cheese on Sourdough bread with salad and fries, my wife ordered Fishfingers on white bread, mushy peas and fries. What can I say apart from it was absolutely excellent. Great drinks, great food, great service at a decent price, restored my faith in Yorkshire pubs ?? Visited this pub on a week day lunchtime.Friendly staff and the beer garden is lovely.Varied menu and reasonable prices .Nice selection of beers .The food here is top notch .Definitely worth a visit .Hope to return soon . We we're looking for somewhere quiet to eat, after a day of site seeing. I was looking for something filling. I started with the soup of the day and then the pie. Both of these dishes were wonderful. With a couple of drinks I just couldn't force down a sweet. So much so I had to walk it off. I highly recommend trying they food. Visited over the weekend when we were in York as we searched for places with a beer garden. It was busy as the sun was out but the beer garden was nice with nice views of York Minster from the right benches. Would definitely try again. Second visit and again not disappointed. Friendly staff, great breakfast, lovely towels and even when we spilt a pint in the bar it was replaced...(no charge). Parking offer needs promoting as this is bonus for a city centre hotel at £10 for the duration of stay in a nearby car park. We will definitely be returning and next time having food on the bar too! Cheers to the lamb and lion! "Nice little beer garden "
Stopped in for a quick pint after walking round the wall. Great little beer garden out the back. Didn't eat here but the menu looked good. Staff were friendly and a good choice of ales. Dog friendly with water bowls out the back. Incredible pub garden right in the heart of the city. Amazing food: huge portions and excellent chips. Food was fairly priced, drinks were on the higher end of the spectrum as you would expect given the location. Dog friendly. Up the stairs to a narrow landing, the entrance to the room was via an 80 degree raked, turning staircase where my shoulders were wider than the staircase. We are in our seventies and I am 6 foot 4 inches and I could not stand up in the ensuite without putting my head through the skylight. Much of the room was out of bounds due to the sloping ceilings. My wife was exhausted very shortly after arriving, as bags of hotel stuff are left by the door making her exit impossible! She is short, at 5 foot, but the the door handle on the inside of the door is unreachable for her due to the rake of the stairs! Oh and no windows!!! There are 2 skylights if it is dry! "Badly organised and lack of thought"
We went there for a work lunch today, 11 of us. I booked over the phone and said I'd call back to order ahead as we were on a limited time schedule due to being on our lunch breaks, which they said would be very helpful. I called back with our orders only to be told that the menu on the website was a month out-of-date (surely a month is long enough to have an out-of-date menu online, and it should have been flagged when I first called) A lot of what we'd chosen was now no longer available. So I asked for them to email me the new menu so we could choose before we got there, to save time. I was emailed the SAME original menu. By now we'd ran out of time to order ahead, so we just had to order when we got there. They said they would prioritise our orders due to the problems encountered so far. Food didn't take too long to come, but we weren't given any cutlery, so had to sit and stare at our food until they brought it. We'd asked if the Fish finger Sandwich came with tartar sauce and were told it did, but none was brought out, so we had to ask for them to bring some in a pot, of which they brought one little pot for a table of 11 people to share around those who were having the fish fingers, so again we had to ask for them to bring more. One colleague was left having to wait for her meal while everyone else tucked in, and to top it off another colleague found a fly in her salad at the end of the meal, and we hadn't seen ANY flies buzzing around so we dread to think how long it had been nestled under her lettuce leaf! Dreadful service and just total lack of thought. Wouldn't it have made sense to bring the cutlery out while we waited for our meals, wouldn't it have made sense to check the menu was the updated one before emailing it over, beyond that, wouldn't it have made sense for the person who first took the booking to flag that the online menu was out-of-date. Better still, wouldn't it make sense to update the menu on the website in the first place! Seems like some staff training would seriously benefit this venue. "Friendly staff, and lovely meal in the beer garden..."
On a weekend away in York we were looking for somewhere decent to eat - after wandering around for while we decided on the Lion and Lamb. Beer choices were okay, menu was lovely pub grub. The surroundings and staff made the experience even better. We sat outside in the beer garden overlooking the walls and enjoyed a relaxing meal (3 x burgers, 1 x fish and chips) on a lovely evening. Would recommend for a casual meal if you can sit outside, although seemed like there was a few little intriguing nooks and crannies to sit in inside the pub. We arrived after a visit to the theatre hot and desperate to sit outside. We checked before ordering our drinks that the beer garden was open so we ordered two beers (which even for central York were seriously overpriced at £9.50). On our way to the garden we were sent back to the bar as it had closed (it was 10.30pm). This establishment advertises a beer garden with no mention anywhere of it closing early. We understand that due to nearby residents there will be certain rules but, had we known, we would have gone elsewhere - which we eventually did. We asked for a refund as we felt we had been sold something they could not deliver. The Manager was summoned and we can honestly say that we have never met anyone so incredibly rude and sarcastic. Her attempts to explain the rules to us just exacerbated the situation, resulting in us walking out (leaving our over-priced beers behind!). As an example of her sarcasm, as we walked out the door she said “ok see you again!” In anticipation of a response to this review I would like to confirm that my Husband was NOT shouting and we were never told that the garden was closing. It is also of no interest to us how long this rule has applied or that our drinks were not faulty. This could have resolved itself quite easily but the lack of customer service and dreadful attitude have led us to conclude that this is not a place to ever visit again. Sad really as we are York residents who spend most Saturday out in bars and restaurants in York and we are always very supportive of local businesses. "Nice staff, good location, not quite what was advertised"
This is a nice Inn, in a great location, but it is certainly not the 4-star hotel they claim to be. The staff couldn't have been nicer, but they could have been better informed. For example, we needed to do some laundry and they didn't know where to send us; we also needed to find a doctor b/c and the only alternative they could suggest was to send us to the ER. The room was not as advertised: it was smaller than suggested and didn't contain a desk or a phone. They did move us to a larger room for the second night, but that was in an attic which would be hard for anyone with mobility issues to get to. The parking was also not near the hotel. Had their advertisement been more accurate, this review would have been higher. "Such a cute little B&B"
A last minute meeting of 11 friends was easily and happily organised by the staff. We enjoyed a tasty and well prepared meal in the snug making for a evening special. The small eating and drinking areas make this an interesting venue. The garden is a little oasis but do be careful on the steps. I had heard really positive things about the food here and was disappointed after our meal. There was nothing wrong with the food but it certainly wasn't special. When we asked for veg to go with our meal we were presented with a salad and told it was buttered greens which was a bit odd. Great location however and the staff were friendly. We had a delicious pork and apple sandwich at lunch time and decided to return later in the day for a Sunday roast. They had run out of pork and chicken so we had the beef. We were asked how we would like it. I opted for rare (pink) and my partner asked for medium. When it came out it was neither. It was over cooked beef served with greasy carrots and under cooked potatoes. The Yorkshire pudding was dried out and the whole thing was tepid. I complained and was told that as the meat was cooked at lunchtime it was doubtful that rare beef would be available. We opted to finish the meal and leave this review to warn others of the cavalier attitude of the chef and management. It's such a pity as the meals at lunchtime looked wonderful and this was our reason for returning in the evening. To be honest if an eatery plans to serve meals all through the day they need to stagger the cooking times. It's not rocket science! I guess they rely on tourists not coming back or taking the trouble to leave a review. The service was good. Our server did his best but...... One star only for the sandwich. It was worth three but I'm so disappointed with the meal I'm taking two stars off. When I booked a double executive room costing £378.90 for two nights room only no breakfast I thought it would be a special break,what a disappointment on arrival the staff seemed very vague we were then taken up five fights of ten stairs to a very dark attic room I tried to put a lamp on but the bulb had gone an alcove with a pole and curtain across was the wardrobe ,a stained ceiling ,bathroom door didn't shut ,the shower was so small no where to balance shampoo etc and very poor water pressure this room is no more than a £80 b&b if that ,when we tried to explain our disappointment the spoke like a well rehearsed script.This is not a £190 a night executive room? Seven of us had lunch and it was wonderful. I opted for a Prawn and Crayfish sandwich and it was both mouth watering and succulent. We opted for the garden top restaurant, as it was a beautiful sunny day. Beth and Joel served us with a most friendly and highly efficient way. Our thanks Beth and Joel for making our lunch so enjoyable and memorable. We chose this place because it was dog friendly with an outside garden we had a drink and desised to eat this place is not cheap we went to the bar to order the cost of the pie of the day £13.00 a buger £13,95 a veggie dish £7.95 onion rings £3.00 and thick cut chips £3.00 the food came out shorly a nice young girl served us when she finished we asked can we get some drinks and i gave her £20.00 off she popped to the bar returning with our 3 drinks she gave me my Chang back and said sorry she was new and didnt know that its the policy not to serve drinks at the table now it was not poetically busy 4 staff we counted 3 behind the small bar doing nothing so customer service it stopped there.The food was ok where they got a rosset from i have no idea but think they were just missing a trick if the place was buzxing and i am sure it can be busy at certain times we could understand but the three guys had no interest at all no customer sevice at all its a shame realy as i said very disappointing our party have 4 gastro pubs in Lancashire and if any of our staff refused to serve drinks while our customers were eating they dont work for us they dont even need to be eating its called CUSTOMER SERVICE so you wont find any here. Its not cheap here so you wpuld think great service. Does not exist. Food arrived said would you get us some drinks so our food dose not go cold. Girl came back said this once my boss said you have to get your own from the bar whats worst all 3 of us said the food is not worth the money either. My pie was dry. Such a shame. When charging top price for food and drink then I expect it to be above standard. Unfortunately poor staff training 3 behind the bar doing nothing. "Great beer garden and tasty food"
It was a very warm evening so I enjoyed eating my tasty dinner in the beer garden, The only downside was that it was a bit smokey. The burger was particularly tasty and the orange and chocolate desert was also very tasty too. We came here for lunch on the recommendation of the staff at the Guy Fawkes pub. The Lamb and Lion is there sister pub. It's got a great old pub atmosphere with a small bar area where you can get a meal and a seperate area for the dinning room. The menu is pub fair but the food is well cooked and delicious. The pie was unbelievable. Staff were lovely and located at the base of the wall it's the perfect place to stop for a meal. "Great place if lacking detail." On arrival:Very helpful but untrained staff.Lovely girl showedus to our room but she'd never been to it herself/used a keycard. Didn't know where or when breakfast was. No teabags We'reBritish.Broken blind in bathroom, bathroom overlooks beer garden. Lovely to come back to cleaned room second day but only replacement bath towel. None often these things are a major issue, but when you pay a decent amount you hope for a bit attention to detail. Couldn't fault friendliness of staff and eagerness to help. Comfy beds and clean bathroom tick. No mention of Wi-Fi in rooms/ welcome book. Had to go and ask in pub. Code stuck to walls in restaurant! "Pasta not great - amazing chips." First time I've had deep fried asparagus! ???? They did not cook, drain and rinse the pasta properly though! Home cooked chips were amazing though! ?? Nice beer garden though with lots of flowers by the walls. Called in earlier in the day and decided that this was where we were going to eat in the evening. Really polite and helpful staff. We both had the pie of the day, chicken and mushroom with chips and steamed green beans. They arrived steaming hot and were lovely, I had a pint of copper dragon and the wife, a vodka and lemonade. Really good to see paper straws and not plastic, well done. Would I go back here again...........definitely. If you're in York, it's worth a visit. Not been to York for 30 years so picked this pub out of the blue due to its central position. 2 minutes walk to the Minster and then a couple more minutes to the Shambles. It really was in the best position. 15 minute walk from the train station. Meals are taken in the bar which made for interesting conversation with other guests. It is not a place for intimate dining ! Breakfast was included in our price and tuned out to be very filling! We had room 12 which was accessed via steep stairs which we climbed on our hands and knees. No view as we were in the attic. Nevertheless a very spacious room with a huge tv. Would book again. My husband and I have just returned home after a 3 night stay at The Lamb and Lion Inn. We didn't want to leave! We stayed in room 6 which was quaint and comfortable. It is at the back of the building and looks out over the beer garden. We'd read reviews before booking and were aware that it could be noisy. It's a pub, in the middle of York, and it was sunny and people wanted to sit outside until the last minute, so it was noisy. For us it added atmosphere. If you don't like laughter and chatting and glasses clinking when you want to sleep, don't book a room here! Also be prepared for beer barrels being delivered and staff doing their jobs, including power cleaning the beer garden! The staff were really friendly and helpful. Breakfast was lovely! We didn't eat in the restaurant but we did have drinks. There was a really good selection of gin and beer. We would definitely stay here again. Thank you for helping to make our wedding anniversary stay special! "Lamb & Lion Hotel & Pub"
This hotel/pub is in the heart of York so it's an excellent central location in the city. To anyone traveling to York, I'd highly recommend the pub. They've got great food & a good selection of beer & cider and a large enclosed garden to enjoy an evening outside. The hotel, however, overlooks the beer garden so it can be pretty noisy up to midnight. I stayed in the hotel during a hot spell in early May which required open windows because there's no AC, but it was pretty noisy. That might be okay if that's what you're looking for, but it's not the most restful location, particularly during the summer. Lamb was everything we hoped it would be quaint, friendly, and convenient. The people were welcoming and seemed genuinely concerned we were cared for. Excellent stay and would do it again without question. "I wish I had spent more than one night here!" I would live at the Lamb & Lion if possible. Best location in York directly next to the walls, gorgeous and comfy room, delicious food and drink, incredibly priced, and lovely staff. Highest recommendation! "Lovely cosy inn, perfect location. " We only stayed for the one night but the inn is in a perfect location, just on the outskirts of the centre so everything is in walking distance. Staff are so friendly and more than happy to help you. Breakfast was delicious! We stayed in the very top room, quite a walk up all the stairs but well worth it as the room itself is so quiet you'd think you were the only ones in the place! Would definitely recommend. Came here for a late lunch with family - we all had fish and chips which was super fresh and tasty. Nice range of local ales as well as non-alcoholic choices. Often come in the summer and sit in their excellent beer garden - great for soaking up afternoon sunshine with mates. "Why man, I am with Simon Nyman, having a lime and lemon at the Lamb And Lion!" I wish I had been with Simon, having a lime and lemon at the Lamb and Lion, instead I opted for a cappuccino with Gloria. It was £2.85, I guess about average price these days, disappontingly, it was like warm milk. I asked the barman to replace them which he did, this time one coffee was no where near to the top. ( I think he had just boiled up some milk instead of measuring out. And again, just a hint of coffee, not worth the money. Having said that, itis a lovely location by the city walls with nice "snug" type rooms, and a beer garden for sunny days (or brave souls on cold days) Staff not particularly engaging although not rude, could be a bit better at greeting and hospitality. "If you want a real 'Inn experience' - this is your place." Right on the Bootham Bar gate - that was the view from the bedroom. I thought the rooms were a little overpriced, but rooms in York are priced as they are! You pay for the venue and the history. The staff are lovely, but most of the people I met in York were also lovely. The room was a double, but really quite small, not a problem because you are almost certainly not going to be spending much time there. The bed was very comfortable, hanging and storage space was small and the shower/toilet room was tiny. I say this for your information only. If you want a big hotel with a modern feel, this is not for you. If you want to experience the flavor of York, then this is a good start. The bar and various small eating and drinking areas are small, cosy parlor areas, very atmospheric and welcoming. You do feel as if you have stepped back in time. The stairs creek and all the features in the hotel look 'very old and authentic'. Downside, the noise from the street is very noticeable, but people seem to end their evening by midnight so it's just part of the 'original feel experience' York is a city that you can just walk around, nowhere is far and there are a lot of Inns. Would I stay there again - yes I would, just for a short sight seeing or visiting friends trip. "Aircon noise in room 10"
I never write reviews but just felt it fair to warn people who are thinking of booking to make sure you dont get room 10 unless you are hard of hearing!. There is a large fan outside the window that is kept on all night and is so loud (even with the window closed)it is impossible to get to sleep. I put up with it until 1 am thinking it would go off, when it didnt I spoke to night porter who agreed it was intolerably loud and admitted many others had complained. I gratefully accepted a different room at Marmedukes which meant me walking for 5 - 10 mins with my luggage, now very tired and wet (as it started raining). Marmedukes was fine but the room was a box and the bed was very short ( no more than 5'10 ) making it not the most comfortable.I am usually very tolerant but i would like the manager to explain how they can rent out a room with noise nuisance so bad you should get complementary earplugs! "Cosy bar and dining rooms"
Just chose this pub/restaurant for our evening meal by chance. What a gem. Quirky warren of dining rooms off the cosy bar area . Such a pleasant waiter greeted us. Food clearly home cooked with special care.Really lovely atmosphere. Highly recommended and might try to stay there next time. Lovely little pub hotel near the minster. Room was lovely but a little noisy caused by ill fitting sash window. Cute little bar downstairs.Breakfast was superb, and staff were very helpful. Good value, will definitely return. "Recent stay at this hotel"
Lovely little place, the rooms are not big but have everything you need and they are well maintained, clean and tidy. Lovely staff, very helpful and we could not have been made to feel more welcome. Would recommend - thank you! Called in here for breakfast on a Saturday morning not booked but made to feel welcome. Breakfast was brilliant and very well done by the chef not cheap but very filling. Did not try the beer as too early. Would visit again. We called in here for an evening meal on a weekend stay during February. We hadn't booked but managed to get a table for four of us in the small front room. Food was great, staff were great and very helpful too. Would definitely have a meal there again. This hotel was not what we expected at all but never the less it was an amazing experience. I feel like it would make you feel at home even if the theam is not what you where looking for in the first place. "Excellent lunch - really recommended"
We dropped in for lunch during the recent cold snowy conditions - and it was a really warm cosy place to have lunch with a great ambience. I can recommend the sausage & mash and the salads. Excellent friendly service especially from Debbie. Visited for one night for a birthday celebration. There had been a mix up with the booking, which we discovered upon arrival, but the fantastic lady on reception dealt with the whole thing so pleasantly and professionally that disafter was averted! We had a delightful quirky attic room which was supremely comfortable. The veggie breakfast next morning was delicious. Altogether excellent! "Cozy, serviceminded and good food!" The location is perfect for exploring the old City centre and getting the vibe of the historic place. York Minster in the backyard just adds to the authenticity. The lovely and serviceminded staff made the Lamb and Lion Inn my “home away”. We had booked a night away to celebrate an anniversary and were willing to pay a little more than we would usually pay for something special. We thought this was a boutique hotel -- its not . I requested a room at the back of the hotel as I had read the reviews from others about the front rooms being noisy ( they were right). Didn't get the requested room got a front room in the attic .... up 7 flights of narrow stairs . Requested early check in at 1pm which we got . I was told that we would get a permit for the car park at Marygate which is absolutely safe and within 5 minutes walk to hotel - didn't realise we had to pay for permit as this wasn't explained. Here are the positives of the hotel:- Bar and food excellent Staff friendly and helpful Negatives :- Room far too small Desperately in need of a refresh Lamp didn't work Wardrobe pole about to detach from wall Window catch broken Bit smelly Tv worked intermittently No mirror near plug sockets for drying hair Breakfast was lacking any finesse In summary - £160 Is extortionate for the room we stayed in. You would get better quality at a more affordable price at Premier Inn . I would advise if your willing to pay this sort of money then look to book something cheaper slightly outside of the city which would be better quality and use the money you save on a taxi into city . Bar and restaurant well worth a visit. If you do decide to stay ... ask for a room on lower floors at the back of the hotel . "Great location to eat, drink and sleep in centre of York"
We stayed here last month as a bit of a little getaway after the stress of Christmas. We were top floor which was a bit of a mountain climb but we didn't mind as top floor is always preferred to us. The room was small but lovely and quirky with the wobbly floors and low ceilings which is very York style. My boyfriend had a laugh at this since he is 6ft 1! The only issue we had was that with it being such an old building the windows didn't close fully which meant the room was pretty cold with it being January. There was a radiator and the bedding was very cosy but there was still a bit of a chill. We were also woken by the traffic in the street early but again this was fine as it got us up for breakfast - which was really really good by the way! We loved our night away with you and look forward to coming back in the summer to enjoy the beer garden. 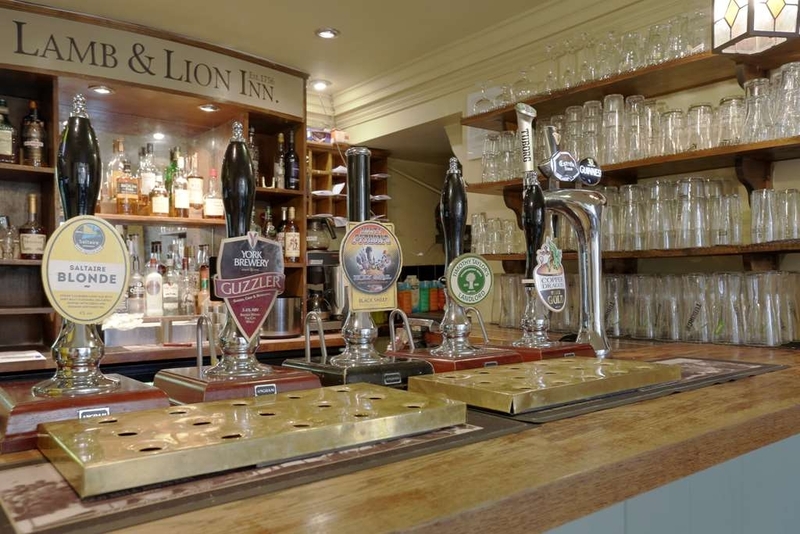 "Drinks good, staff great, management less so"
We recently visited the lamb and lion pub. The staff were very friendly, I'm a real ale drinker and I thought selection of drinks was quite good. The only down side however was that me and my group felt uncomfortable as we witnessed an older lady with glasses (who we assumed to be the landlady) speaking very poorly to the staff, and using bad language in front of customers. I'm glad I hadn't brought my kids with me on this occasion! We felt very awkward witnessing it all and I can't believe this is how she speaks to the staff. We probably won't return for this reason which is a shame because other than this member of staff we had a pleasant experience. Menu looked good although we didn't have any food and the pub is cosy and a short walk from the cathedral. Pub is also dog friendly which is good. We stayed for one night and we had a lovely time. The hotel was lovely and clean, the staff couldn't do enough to help, breakfast was very good and a good size portion. It was nice and quiet, we didn't get disturbed sleeping. Very good all round - the car park was 5 mins walk and we got a pass from the hotel so it cost £9.50 rather that £12. The 4 of us popped into the Lamb and Lion, the bar was staffed well with whom I presume was the land lady. She took our order was polite with fun banter. The girls choose warm drinks whilst the boys sampled the great selection of cask ales. Whilst seated the land lady would chat as she passed us making polite conversation. Whilst there I logged on to Trip Advisor to look at the rooms and whilst doing so she came over and took the girls on a tour. Our short time there was really nice and will go back. We booked the Lamb & Lion in the hope of staying somewhere with some character and it didn't disappoint. It's a million miles away from the chain hotel offering. It's well situated just a short walk from the Cathedral. The food is decent - wholesome breakfast. The rooms are clean and comfortable. The staff friendly. An issue we had with our room on arrival was satisfactorily dealt with. On a slightly less positive note, we had booked for two nights but were called away urgently on the morning of the second day for a family illness and had to check out early. Having paid on arrival we assumed one night would be refunded but that was sadly refused for a reason that wasn't clear - after all the room could be re-let. 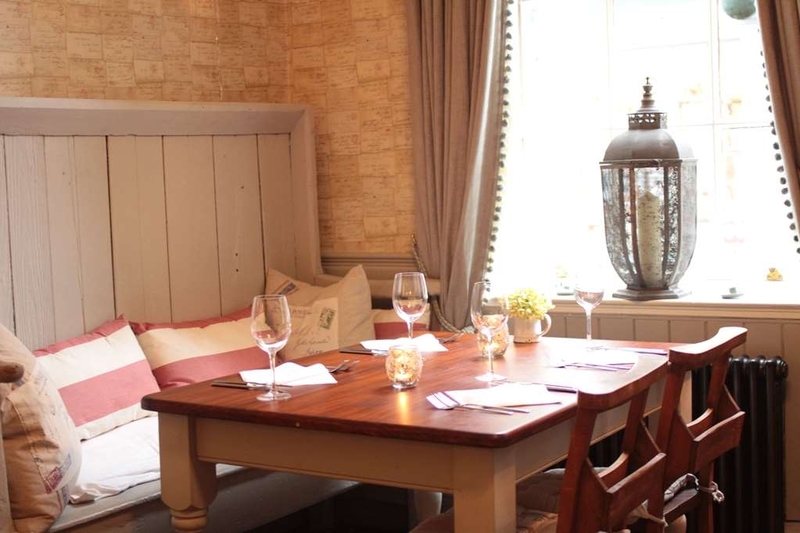 "Excellent food and drink from a welcoming bar staff!" Very quirky pub with a choice of quaint rooms to eat and drink in. Food was varied and really excellent. Stout No 5 was outstanding. Really looking forward to repeating our visit! It is interesting to note that the beer garden would be a popular space in summer, with ample seating for many patrons. We go to York every new year and on this occasion booked this thinking it was luxurious and a kind of boutique pub for our honeymoon on the way back from Scotland. We arrived not knowing where to park it is on a no entry road! We telephoned for ages no-one answered, so I ran to the pub to ask what to do. The staff were uninterested and hard-work most times to talk to. We took the car to nearby carpark. We had room 3 which was compact, only the bedroom radiator worked, the floors were sticky and there was a smell which I could only assume was an overdose of floor cleaner. The bathroom radiator didn't work and you had to squeeze through the shower doors to get in it. The staff outside woke us up around 6 both mornings. I would imagine it to be noisy and very hot in Summer as beer garden one-side, road the other. We booked a year in advance so it was cheap, it certainly is not worth full price. The only positive was comfy bed, location, cheap parking voucher on check out and breakfast was nice. We went to another hotel for our last night. Sorry wouldn't stay again. Had two lovely nights at the Lamb and Lion room was great but in the attic found the stairs a bit steep but a very nice room and bathroom once we got up there. Excellent breakfast and we had one evening meal which was good. Staff very friendly and helpful. Very quirky place to stay definitely not run of the mill. "Perfect location, nice food, comfortable room and friendly stuffs"
The room is clean and comfortable, even though I think it is a little small for us. All stuffs of this hotel are very friendly, and the foods in the bar are very delicious, you can try different kinds of foods. The location is also very good, 2 minutes to York Minster, 5 minutes to the shopping area (Stonegate). I think this hotel is a good place for the tourists to stay in York. The food was good and the location was fine but the Superior room we had was massively overpriced and unsatisfactory. On third floor, narrow steep staircase, poor facilities in en suite. We won't be returning. "Great place to stay centrally!" Very busy when we arrived due to the time of year! Very clean, warm and friendly staff. Breakfast looked lovely but we were not hungry so only had the cereal and fruit. We will definitely stay again if we go back to York, next time it will be in the summer so can make use of the fabulous beer garden. Perfectly located old traditional English hotel just on the old city wall. Great bar (quite lively) with a good selection of beers and drinks. Old style bedrooms with comfortable bed. Excellent breakfast each morning. Just a short walk to the main shopping, pub and restaurant areas of York i.e. Stonegate etc. Friendly and attentive staff especially Debbie at breakfast time and her young colleague (sorry didn't get her name) who run a very slick breakfast service. Will be back again! We have visited this pub for lunch a few times now and I have always been impressed. 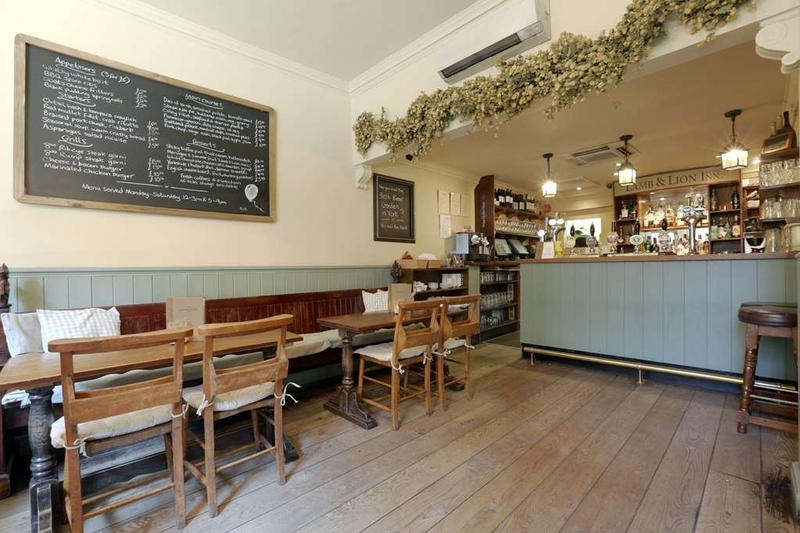 The place has a very cosy British feel and the pub is right under the city walls. A lovely place to stop off for lunch or a quick drink. The location could not be better to all the Christmas market, sights and shopping. Thankfully I read the reviews before I got there, because it was not clear prior to my arrival that when you walked in, you were at a pub and restaurant and they check you in at the bar. The stairs are steep and heavy so be prepared. 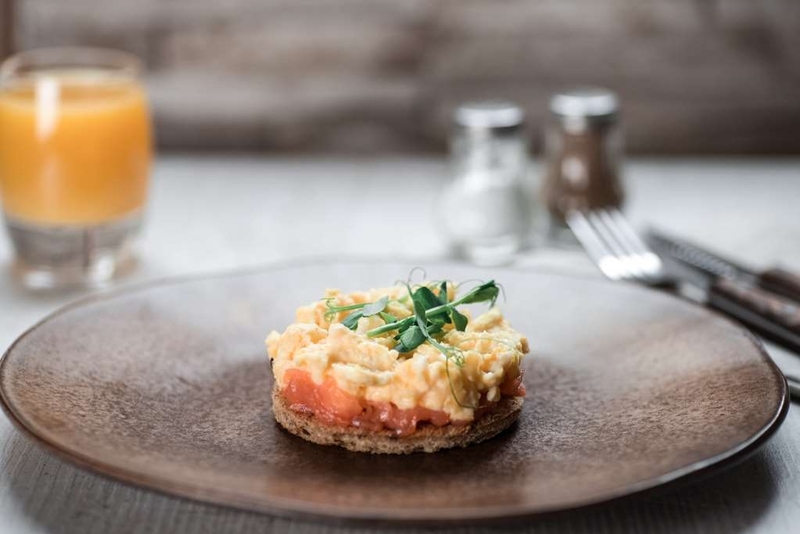 The food and beverage here are out of this world AWESOME, so please take a moment to eat a meal (expensive) and the breakfast is great as well. The staff were..."meh". Generally uninterested in the guests and although, not rude, just not hospitable. I was bummed that I didn't get to schedule a dinner in advance as a resident of the hotel to ensure that my experience was complete. "Great atmosphere and food "
"4 Star !! Joking surely !! " The good ... location, close to row centre, some decent beer. The bad ... where do I start !!? This is basically a pub that serves food with some rooms above Parking is 5-10 minutes away with nowhere to easily drop off baggage Reception is behind bar - try struggling through when all queuing for drinks !! Any of the bar staff appeared to be able to check you in but seemed more interested in getting you out of the way to serve more drinks than helping you !! Our room was ‘executive' - really!!! - it was small and poky with noise all night from street outside , once people seemed to finally go to bed bin-men arrived and bottles were cleared noisily. Breakfast served up to 10 am - arrived 9.57 to be told stopped serving - I know I know - should have been earlier but never ever been turned away in the prescribed meal hours and done so with barely hidden glee!! Price was ridiculous but near Xmas and believed it would be 4 star !! 1, star service , 1 star accommodation but 4 star prices !! Very very poor !! "Food ok, service not so good"
Four of us ate here for dinner. Fish and chips, rump steak, pizza. Nice fish and steak except the chips were soggy for all of us. It was a busy evening so expected some delay however we ordered desserts and 25 minutes later they still hadn't arrived. Looking for the staff and found quite a few behind the bar in another part of the establishment. Explained that we were still waiting for our desserts which was met with surprise as it seems they hadn't even been started. Cancelled the order and paid and had dessert at Cafe Concerto . One other slight annoyance were a number of loud drinkers (after all it is also a pub) sitting adjacent to us. Not sure why men need to scream at each other to be heard. Would I return when next in York, probably not. Room 12, appropriately enough, is named The Attic and guests other than those under 5 ft tall will be painfully aware of that. There is much head-banging in evidence in the very compact ensuite bathroom. But that's the least of it. The main challenge is ascending the heights to The Attic. A heavily sprung door opens out into the small landing on the first floor to reveal an extraordinarily steep set of stairs with a 90 degree turn at the foot of them. As if that's not enough to contend with, the heights have to be scaled in darkness with the switch for a light some 20 ft higher sited at the top of the stairs. While two-way switches may not have been readily available when the Lamb & Lion was built, surely when converted to add the Twelfth Room adding one might have been thought about. All this suggests that different rules must apply for Health & Safety in High Petergate than in the rest of the UK. Fire escape from The Attic is an exceedingly worrying prospect. Dinner was worthy of a 7/10 and was enjoyed, but the breakfast options were pretty limited although nicely cooked. The sign in the breakfast room/ bar advertised “luxuriously appointed rooms”. That must only have applied to Rooms 1-11 because in this day and age there's no way the term was appropriate to The Attic which was comfortable enough (once you got there) but certainly not luxurious. All of this came at a hefty price for what was provided. There must be a very large premium charged for the location, which is convenient for exploring York as a visitor. Did the Lamb & Lion give value for money? Most certainly not, from our experience. Exceptionally disappointing.